The Arabian breed is one of the oldest breeds in the world. 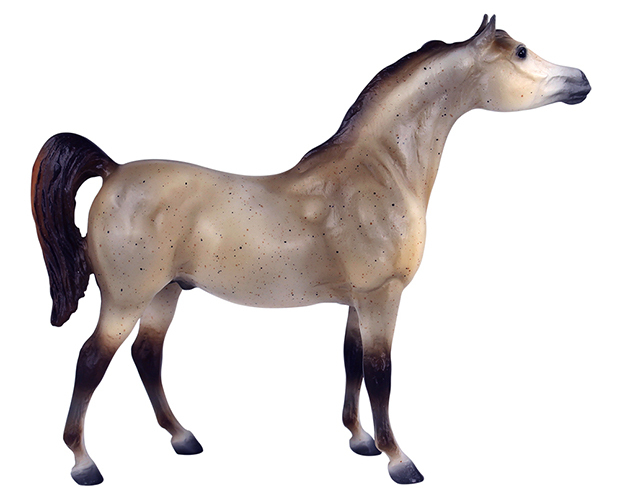 For centuries, Arabian horses lived with the desert tribes of the Arabian Peninsula and were carefully bred by the Bedouins to thrive in the harsh desert climate. Today's modern Arabian retains the breed's large expressive eyes, slightly dished noses and impressive lung capacity and endurance. Arabians are among the world's most intelligent horses and have an amazing ability to bond with their owners. Arabians excel at endurance riding and make excellent family horses. 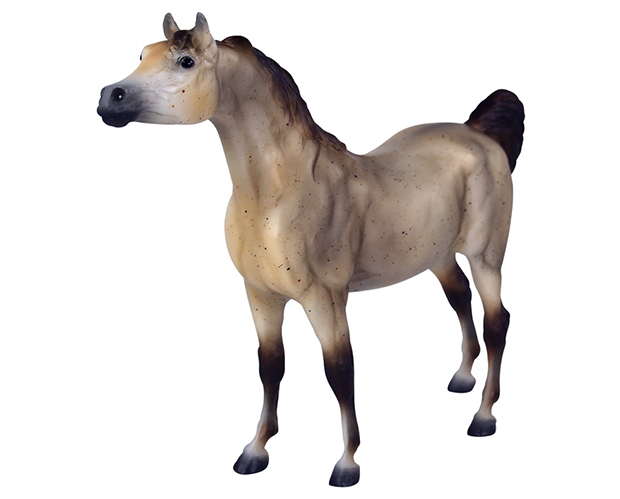 As show horses, they are competed in Western, English, Park, dressage and driving. 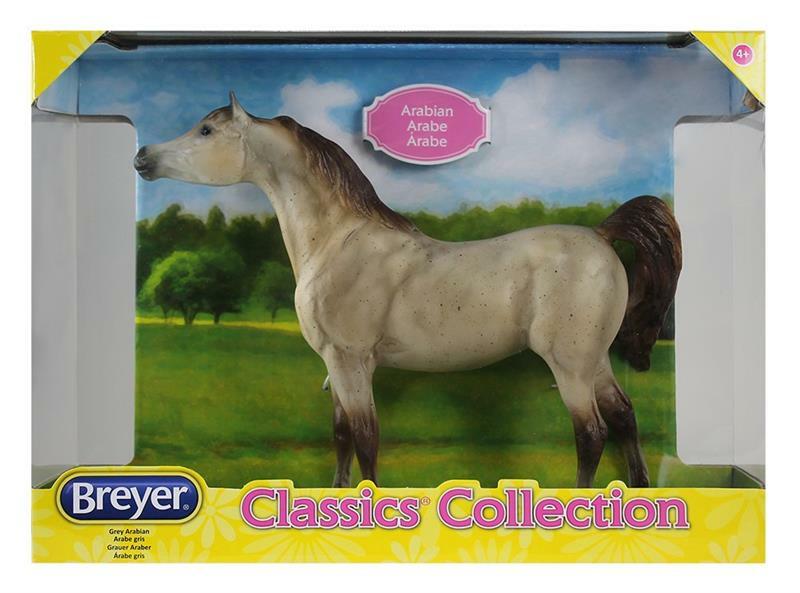 Breyer's #923 Grey Arabian is made in the Black Stallion mold. 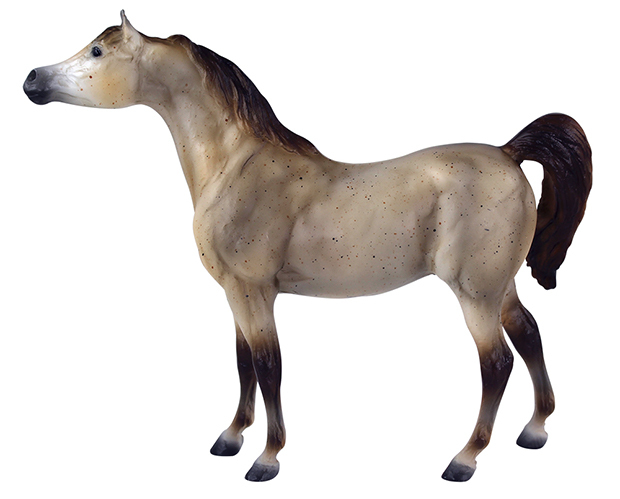 The Black Stallion mold was introduced in 1983 and is named for the equine star of Walter Farley's novel, The Black Stallion Returns. It has the round "Breyer Molding Co." mold stamp. 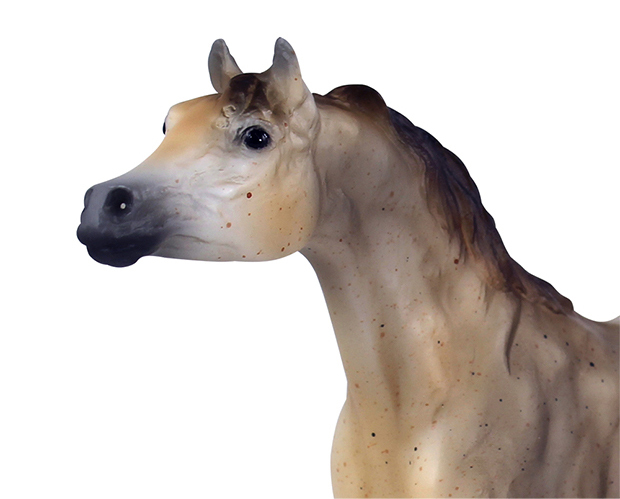 It was sculpted by Chris Hess and is Breyer mold #3030BS.